Look at the beauty, elegance, and simplicity of this handmade organic hemp basket!! We just can't get over it. 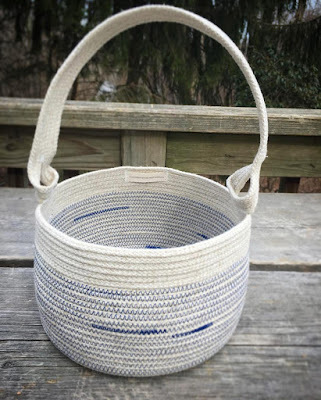 Our customer Nicole made this basket by hand and we were delighted to be tagged in her post showcasing this gorgeous handiwork. We reached out to Nicole so we could share her story and inspiration here on Rawganique's official blog. The Rawganique hemp braided cord she used is made in-house at the Rawganique Atelier in Europe from our 100% organically grown unbleached and undyed hemp yarns. 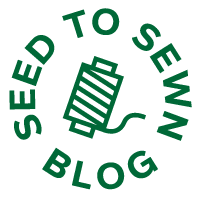 "My name is Nicole - and I'm a fiber artist, organic vegetable farmer, food lover, nature wanderer, wife, and mother of 2 small nature loving children, living on the eastern coast of Connecticut. Since I was a child, I have been dabbling in many different arts and crafts. I began sewing in my teenage years and that has been the constant through my fiber arts journey. I started knitting at 23 , spinning my own wool and needle felting at 25, and it took off from there. 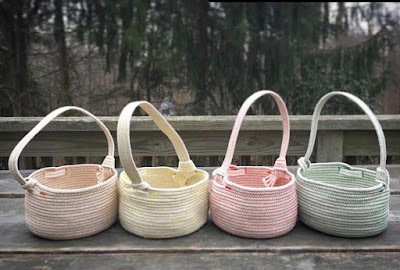 When I was 33 I taught my first fiber arts class and one of the other teachers made traditional fabric coiled pots. We were wrapping each round with yarn and I kept thinking I could do it on my sewing machine (I'm a very efficient minded person!). I went to the fabric store and when I walked in, there were big spools of cotton piping cord. I bought 100' and brought it home and started wrapping the cord with strips of fabric and sewing it into bags and bowls. It was so fun and beautiful but very tedious wrapping the cord first. So I decided to sew some of the cord in its natural state and I was so impressed with the results, but the cotton piping cord ended up not being quite strong enough for what I was trying to achieve. I tried 8 different types of cotton cord before I found one that I loved. Organic cotton cord was impossible to find so I found cotton that is as eco as you can get. Then I got into dyeing the rope myself and that has been such an adventure! I also started incorporating hemp about 6 months ago. I will continue to use and incorporate hemp into my bags and baskets. 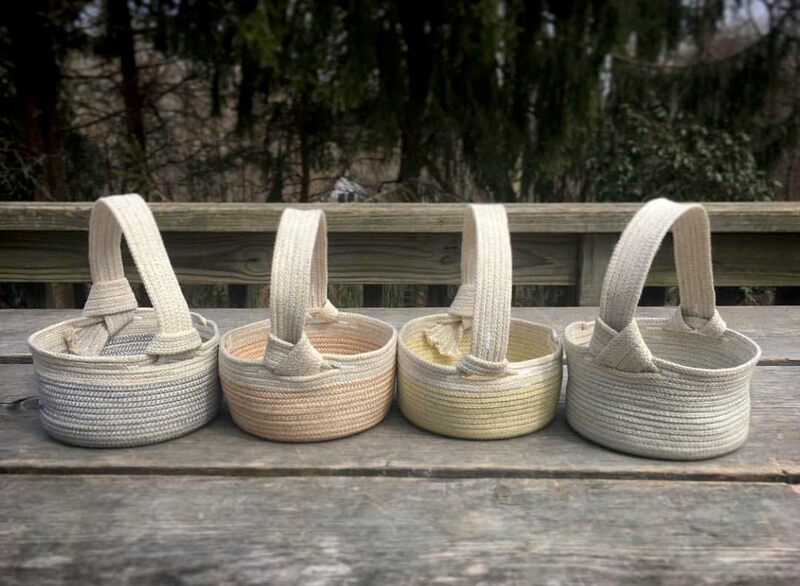 The hemp from Rawganique is such a beautiful and luxurious product that has a gorgeous natural color and adds perfect texture to the baskets. I also love that it's organic! I found making rope baskets to be so meditative and aesthetic. It was very reminiscent of pottery - which I had done a lot of in the past and LOVED. I never get tired of making baskets and bags! They are so strong and durable and will last for a lifetime. My design philosophy is simple - it's rooted in a desire to fuse the practical with the artistic. I seek to create vessels that are unique, beautiful, and can stand up to the needs of everyday life. Functional art as I call it! 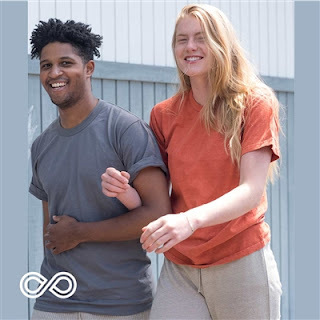 Thank you again for reaching out:)"
If you create a work of fiber art or any kind of art with our organic raw cotton, linen, or hemp material, be sure to share it with us! We would LOVE to feature you on our blog!!! Tag #rawganique and @rawganique on Instagram or Facebook or #RawganiqueCOM on twitter. We are on Pinterest, too!